Welp Hatchery | For all of your poultry needs! Are you planning on getting chicks for Easter? 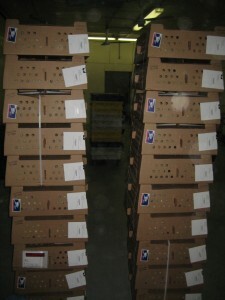 I can always tell when Easter is close because feed stores start to fill up brooders in the stores with baby chicks. Some people have mixed feelings about giving baby chicks for Easter gifts. I have always gotten baby chicks at Easter and have given my own children baby chicks as Easter presents. Easter falls right in the middle of spring and is one of the best times to get chicks because there are so many options available. If you do plan on giving or getting chicks, make sure that you’re prepared to take care of them long after they grow out of the cute, fluffy stage. Once you’ve decided that you want to get chicks you’ll need to figure out what kind you want. Don’t be restricted by the breeds that are in your local feed store. 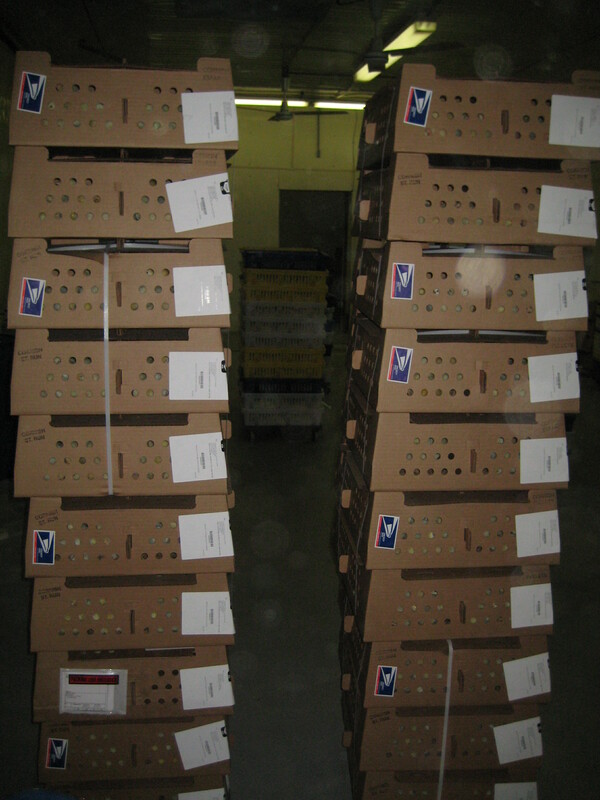 Ordering chicks will allow you to purchase the breed you want and have it delivered to you! Do you want chickens that are going to lay eggs every day? Or would you rather have chickens that lay colored eggs? Maybe, if you’re like me, you want chickens that are unique and pretty to look at. Wyandotte– Consistent layers that produce light cream- dark brown eggs. Ancona– Excellent layers that lay white eggs. Minorca– These red faced, black chickens lay large white eggs. They are a large breed. Delaware– This older breed of chicken is a good egg layer. 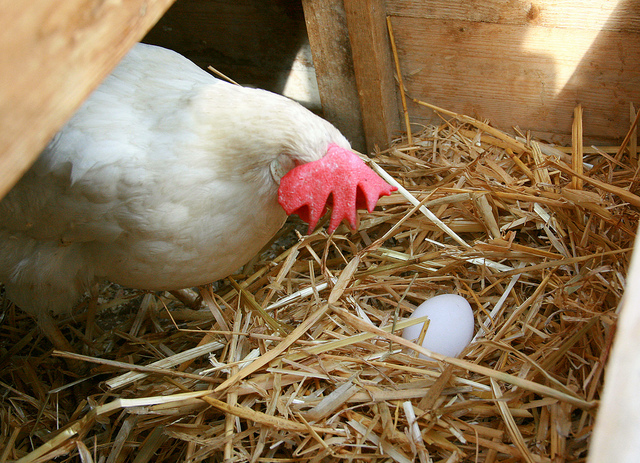 Hens are medium-sized and can lay large to jumbo sized eggs. Speckled Sussex– This dual purpose chicken is known for its colorful plumage and ability to lay frequently. Hens lay lightly tinted eggs. Ameraucana– Often referred to as ‘Easter Egg Chickens’, this breed lays blue, green and blue/green eggs. They are consistent layers. 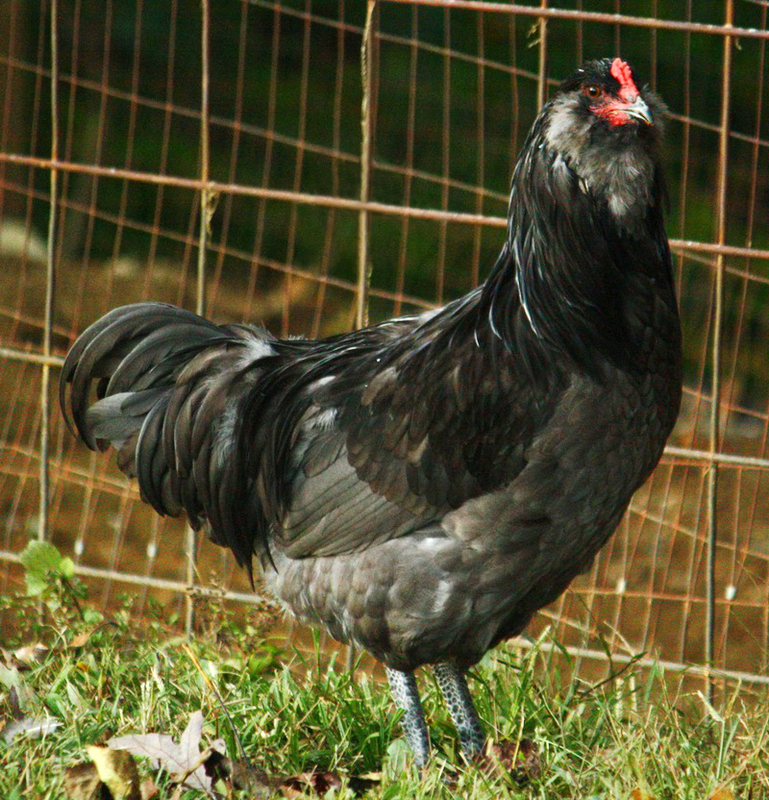 Black Maran– Although Marans don’t lay blue or green eggs like the Ameraucana, they still lay beautiful eggs. The eggs are a rich, deep brown and are often speckled. Brahma– These chickens are unique because of their size when they are grown. 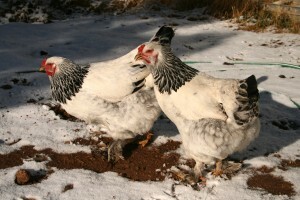 Brahma roosters can easily reach weights of 18 pounds and females can weigh in at 16 pounds. Despite their size, Brahmas are laid back and docile. Cochins– Cochins are completely feathered, right down to their toes. Cochins are known for being extremely docile and make great pets for small children. Crested and Polish– These chickens are adorable and have a crest. A crest is a collection of feathers on top of the head that makes it look like they are wearing a hat. These are chickens with big personalities! Getting baby chicks is so exciting and rewarding! Make sure that you have all of your supplies when your chicks arrive (or before!). If you have everything that you need, choose a breed that will fit your needs and will fill your nesting boxes and yard with color. 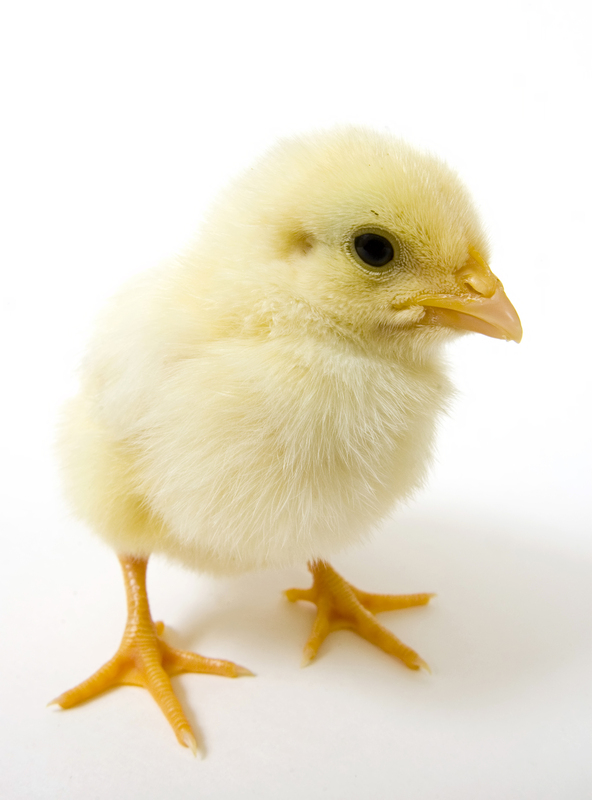 Taking proper care of your chicks should prevent any illnesses from occurring. Keep the feeders filled with fresh, clean chick feed. Make sure that the chicks always have a clean source of water available. Keep the bedding clean and change it out as needed. 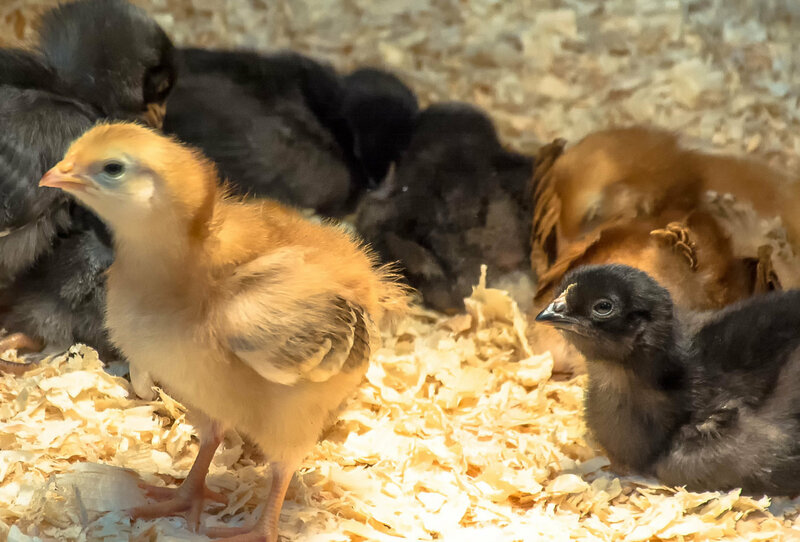 Use a heat lamp to keep the brooder warm (95-100°F for the first two weeks, then decrease by 5°F each week until one month). Being prepared for your baby chicks will help ensure that everything goes smoothly and you raise happy, healthy chickens that you can enjoy for years to come. Shelby DeVore is a former high school agriculture teacher that has taught numerous agriculture classes and successfully coached multiple competitive FFA teams, including Tennessee FFA State Poultry teams. She’s an agricultural enthusiast and shares her love of all things farming with her husband and two children on their small farm in West Tennessee. She’s also the author of the blog Farminence, where she enjoys sharing her love of gardening, raising livestock and more simple living. Many myths exist about the color of an egg’s shell. As a general rule, hens with white earlobes lay eggs with white shells, and hens with red earlobes lay eggs with brown shells. Of course there are some exceptions to this rule. A common belief is that eggs with colored shells are more nutritious than those with white shells. Some people think that brown eggs taste strong, and others think brown eggs are fresher. It is what the chicken eats and how the chicken is cared for that affects the quality and flavor of the egg. Chickens raised in cages off the ground, without having green grass or scratch grains, garden or table scraps, don’t produce the darker, rich, orange-colored yolk. White-shell eggs produced by hens on pasture are more nutritious than eggs with colored shells laid by caged hens. Whether or not you prefer white eggs, brown eggs, green eggs, or spotted eggs is a matter of personal preference. Keep in mind, though, that the shell color actually has nothing to do with the egg’s nutritional value. 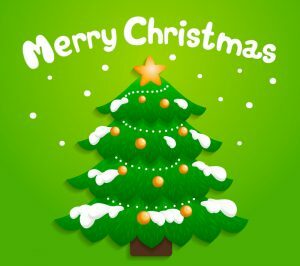 Check out our website WELPHATCHERY.COM for great gifts. Country Living Encyclopedia – This book contains practical advice, invaluable information and collected wisdom for folks and farmers in the country, city and anywhere in between. Includes how to cultivate a garden, buy land, bake bread, raise farm animals, make sausage, can peaches, milk a goat, grow herbs, churn butter, catch a pig and cook on a wood stove. They have a very good section on chickens and other poultry. The Starter Kit has all of the items needed to start you baby poultry! Super Broiler Vitamin- This specially formulated vitamin supplement was made with fast-growing Cornish Rock broilers and other fowl in mind. Because of their rapid growth and weight gain, these types of poultry have special nutritional needs. This supplement will help your birds reach your weight and efficiency goals. This product is safe to administer for as long as desired. It can be mixed with feed or water. One 16 oz. pack good for approximately 100 chicks. Shink Bags – These bags are an excellent option if you freeze your birds whole and they are BPA FREE. They hold up very well in the freezer. The bag prices include a zip tie for each bag and a piece of tubing with each order. A few more suggestions are knives, egg cleaner, treats for chickens, and chicken shampoo to name a few. Hopefully this helps make your Christmas shopping easier.